Berlin has emerged as the continent's de facto leader – but what does this mean in 21st century Europe? German leadership in Europe is not just a matter of economics – domestic forces in the other member states have left Berlin the only capital able to address the continent’s most pressing concerns. However, there are still doubts that need to be resolved. One needs look no further than Europe’s response to its three most recent crises – Greece, Ukraine and the refugee situation – to recognize that Germany has emerged as Europe’s principal powerbroker today. The Greece debt deal was essentially a bilateral affair between Berlin and Athens, the Ukraine ceasefire was hammered out by Chancellor Angela Merkel and Russian President Vladimir Putin, and on the current refugee crisis Germany is leading both by example and by calling for a common EU response. But with a series of unresolved crisis in Europe and its near abroad, the real question is whether Berlin is fully ready to assume a true leadership role on the continent — and whether other powers are willing to accept this. Make no mistake: Germany’s rise is a welcome development, assuming it is exercised wisely, benignly and with a common European purpose in mind. Europe is in desperate need of leadership these days. At home, the entire “European Project” is under pressure on multiple fronts: rather than moving towards to the communautaire method of an “ever closer Union”, Europe is facing a wave of re-nationalization. The political blocs that have traditionally driven European integration – moderate social democrats and liberal conservatives – are quickly loosing ground to radical parties on both sides of the political spectrum, several of which now hold pivotal roles in governmental coalitions in Scandinavian and Eastern European member states. What is more, the post-1989 European mythology that used to define the European Union as a “normative power” and an “example” to the neighborhood and rest of the world is now falling apart. The last few years have seen gross violations of European rules in the financial and monetary domain, an absence of European influence in its neighborhood, and a lack of European solidarity to address the recent influx of refugees. These failures are not the fault of one country, but the result of collective European inaction. For too long, Brussels has been overly concerned with the Eurozone agenda at the expense of the larger strategic picture. Paris, the continent’s traditional driver, has lately taken a back seat to focus on France’s domestic economic woes, while London is pulling away from the rest of Europe, with the possibility of Brexit looming around the corner in 2017. Even Washington, Europe’s traditional outside power broker, has become more reluctant to engage on the continent under Obama. This has meant that Germany has emerged as the continent’s de facto leader. Still, neither Berlin nor any of the other major powers has yet come to grips with what this German “Unipolar Moment” actually means in 21st century Europe. There are three lingering doubts that must first be resolved. The first doubt is whether Germany itself truly wants to play the role of hegemonic power in Europe, taking on the many burdensome responsibilities that entails. Up until now Berlin has been quite reluctant to assume them – remaining on the sidelines of NATO’s intervention in Libya in 2011, continuously opposing a banking union and eurobonds, mismanaging the growing north-south divide within the Eurozone, and not doing enough to keep the UK in the EU or to prevent the rise of Orban in Hungary. However, there is also no such thing as an empty chair in politics, and several signs point in the direction of more German leadership in Europe. 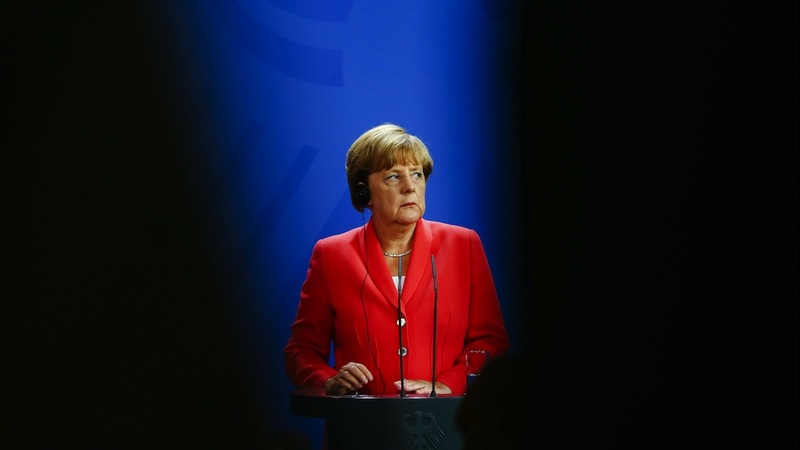 The recent refugee crisis is an example of German leadership by both example and policy. Berlin has adopted a new narrative on defense and security matters that would have been unthinkable a decade or two ago. It is a strong champion of free trade, including the Transatlantic Trade and Investment Partnership (TTIP) with the United States. Berlin is also the only European capital with influence in Washington, Beijing, and even Moscow. All of these assets are European assets, not only German ones. Secondly, how will other European powers react to German hegemony, especially if the United Kingdom were to leave the EU and Marine Le Pen were to became France’s next President, pulling Paris closer to Moscow rather than to Berlin? If this nightmare scenario were to become reality, the year 2017 might be Europe’s annus horribilis, with several European nations potentially challenging German primacy and taking steps to roll back the EU. Any movement by London to escape from the EU would likely necessitate growing American involvement to balance the continental powers, with Washington possibly becoming more involved in key European political, financial, and security decisions. In this scenario, Germany would be asked to act and lead to avert the end of the European Union as we know it. The third doubt is how far the United States is open to revising its Cold War role as offshore balancer in Europe. Regardless of who wins the 2016 presidential election, the next US administration will have to confront a plethora of serious challenges in Europe, the Middle East, and Asia all at once. A Hillary Clinton administration would perhaps redouble on the pivot to Asia, while a Republican administration may want to play a more active military role in Middle Eastern conflicts. If the US wants to play significant roles in Europe, Asia, and the Middle East all at once in order to retain its primacy in the global order, it will need strong allies to help it out. In a European context, we might well see Germany replacing the UK as the US’ special ally; if so, this would further upgrade Berlin’s power, allowing it to comfortably exercise its leadership in Europe. While the notion of German hegemony may be as uncomfortable in Berlin as it is in London, Paris, and Washington, it is hard to see any realistic alternatives to Europe’s current leadership deficit and the multitude of threats the continent faces. To further diminish European fracturing, it therefore behooves both Berlin and the other major European powers to ultimately accept the inevitability of the German Unipolar Moment in Europe. This begins with a few necessary adjustments to the existing reality. For Germany, this means guaranteeing the long-term sustainability of the common currency, taking steps towards a banking union and a real monetary union, and an openness to reviewing some fundamentals of EU rules such as common asylum policy and neighborhood strategy. For the rest of Europe, this means having faith that German leadership can be a driving force for a strong EU, while at the same time taking steps to shape this leadership to ensure that it is benign and for the common European good. Growing German leadership in Europe could encourage the UK to remain inside the EU to balance Germany’s growing power on the continent, and France to make the reforms necessary to board the economic train of globalization. And it could persuade Washington to be more present in Europe again, pushing for TTIP, strengthening NATO, and encouraging LNG gas exports to address the continent’s energy security dilemma. 2017 will be Europe’s year of reckoning. The current set of challenges the continent faces, however serious they are, pale in comparison to what may be lurking around the corner. This leaves less than two years to fix the current European mess before the pulling apart of Europe risks reaching a breaking point. The outcome will determine not only Angela Merkel’s legacy, but also Europe’s common and peaceful future. is a researcher at the Portuguese Institute of International Relations in Lisbon and a Non-Resident Fellow at the SAIS Center for Transatlantic Relations at the Johns Hopkins University in Washington, DC.